CBD has become a very popular product because of the huge benefits, not only when used medically for anxiety and pain, but in skincare! But today, we want to talk about an ingredient that has been used in cosmetics and more, for much longer than CBD and is perhaps a little underrated… Hemp Seed Oil. And yes, although they come from the same plant, there are differences, which are discussed in the piece. Here’s a piece from our lovely intern Lorna about Hemp Seed Oil – the benefits and what makes it different to CBD. Hemp Seed Oil is derived from the hemp plant and it is a form of Cannabis Sativa. Hemp’s chief purpose used to be to grow for commercial use so; essentially, hemp is a raw material as it is incorporated into various commercial products, such as: clothing, paper, skincare, textiles and food. Hemp Seed Oil is made purely from pressing the hemp seeds and the seeds are then cleaned to avoid contamination from other crops. After cleaning, the seeds are cooled and then flushed with nitrogen gas to remove any oxygen that may still be present. The seeds contain little to no THC (or Tetrahydrocannabinol) — the chemical responsible for marijuana’s psychological effects. In short, the oil cannot get you high! Why is it different to CBD and Marijuana and what’s the difference between them? Hemp and marijuana are both plants in the Cannabis Sativa family and hemp contains little to no THC. 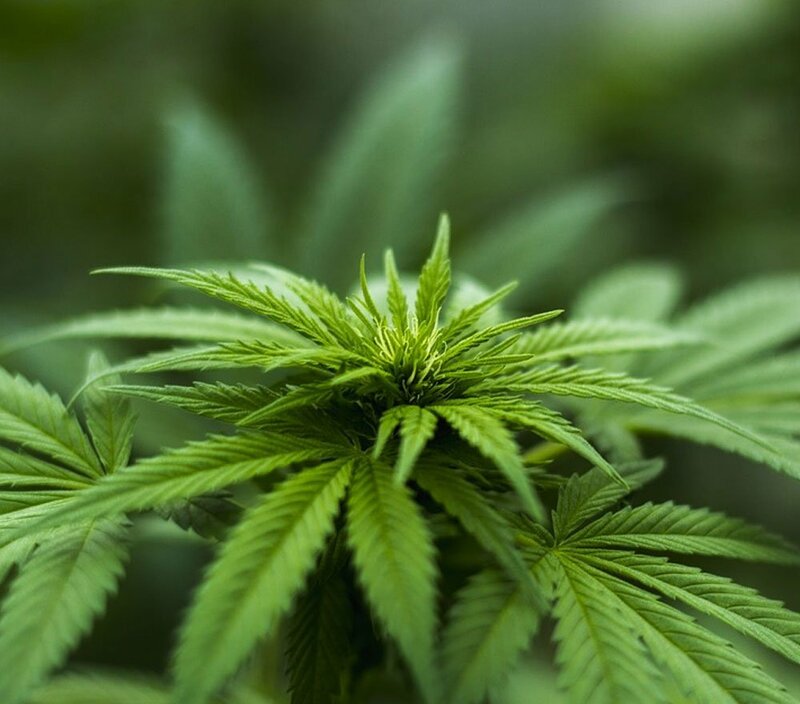 The main difference between hemp and CBD is that Hemp Seed Oil is always extracted from the hemp plant, whereas, CBD can be extracted from either the hemp plant or from other cannabis plants, which contain much higher levels of THC. – Hemp Seed Oil is a brilliant moisturiser for the hair, skin and nails. Hemp seeds are extremely high in protein and omega fatty acids so using the oil will work wonders on dry skin and hair. The oil also has antioxidant and anti-inflammatory properties. – The oil’s omega fatty acids can help with various skin conditions, such as eczema, psoriasis and other itchy, painful rashes. The fatty acids help to promote healing within the skin. – It can treat acne-prone skin as the oil has a light consistency and is non-greasy so it doesn’t clog pores. – Hemp Seed Oil is amazing for your hair, especially for dry, brittle hair as it contains so much protein and fatty acids. The antioxidant and anti-inflammatory properties help to improve blood circulation on the scalp and help to prevent dandruff and scalp infections. – Its lightweight non-greasy texture makes it an excellent moisturiser for those with oily skin. It will not aggravate any problems or clog your pores. The oil is suitable for all skin types. 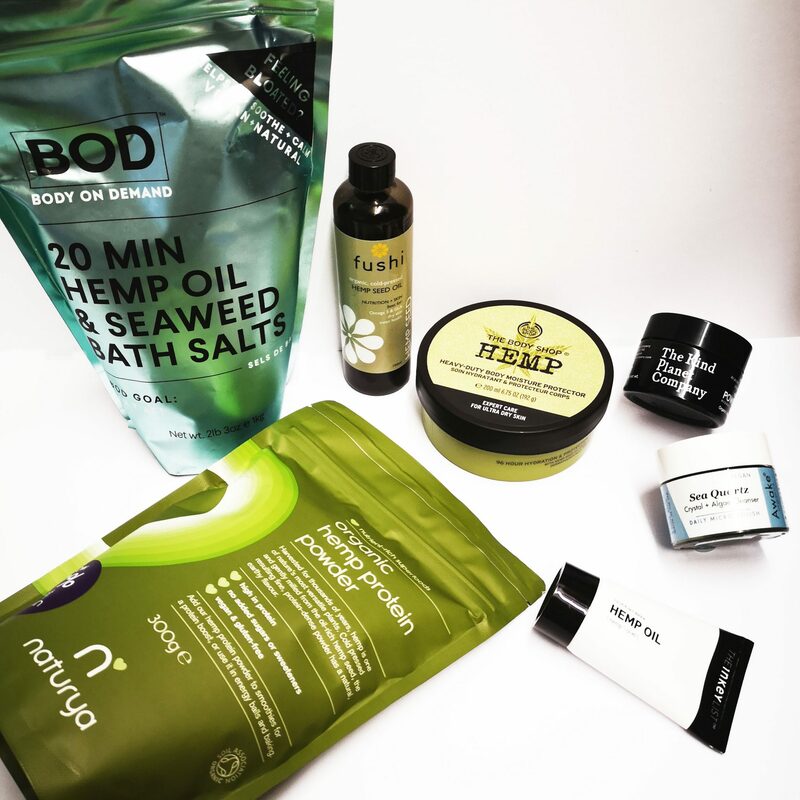 Here are some skincare products that we love that utilise the benefits of Hemp Seed Oil. 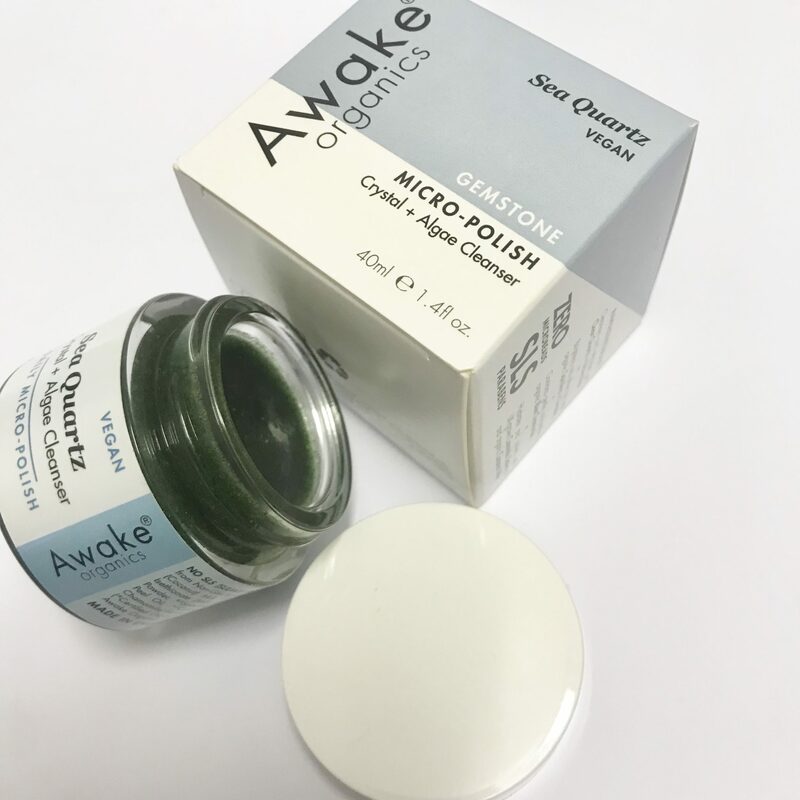 The Awake Organics Micropolish Crystal + Algae Cleanser uses crystals and brown rice to exfoliate the skin and the UK Grown Cannabis Sativa Oil content in this hydrates and softens the skin. It’s a lush cleanser that will also polish your skin, so you’re left with gorgeously hydrated, soft and glowing skin. Stunning! The INKEY List Hemp Oil Cream Moisturiser is a soothing, rich yet lightweight face moisturiser containing Omega-3 and Omega-6 fatty acids. The cream aims to target stressed and irritated skin and to protect and plump – the Hemp Seed Oil in this really helps to hydrate the skin. It’s not a heavy or thick cream, it feels very lightweight. 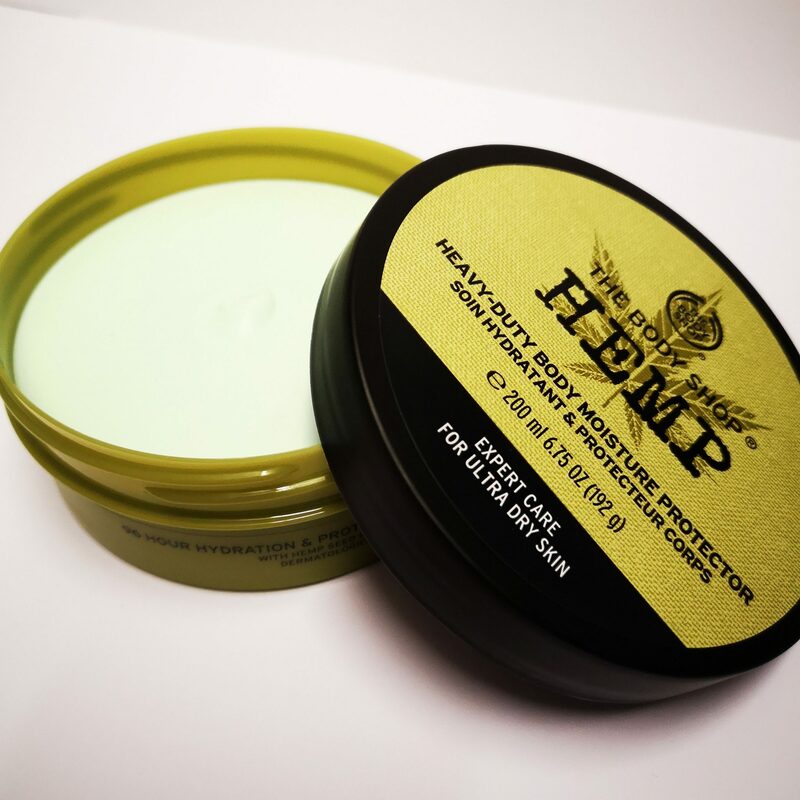 The Body Shop is well known for its Hemp range and its Hemp Body Butter is still one of the company’s best sellers. A solid cream that melts onto the skin, this body butter is infused with rich Hemp Seed Oil and essential fatty acids, providing lasting hydration. A staple in many people’s beauty cupboards! 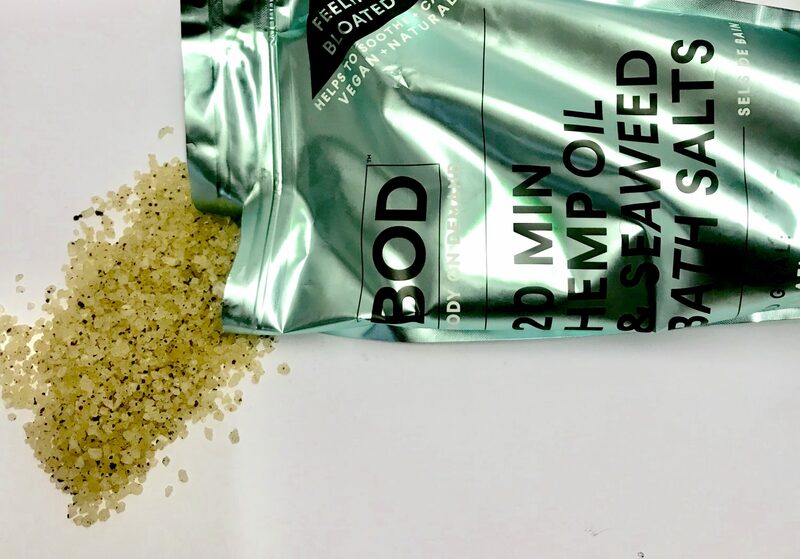 The BOD 20 Min Hemp Oil and Seaweed Bath Salts is a fascinating product – you use the whole packet of this in your bath and this is designed to help you feel less bloated and get you glowing! The Hemp Seed Oil in this helps to moisturise your skin and help balance your mind and body. These also have the added benefits of salts which are designed to decrease water retention as well as stress-busting magnesium. They pack a punch! Jessica has been trying out The Kind Planet Company’s Power Balm and loving it. Although it’s mainly known for the sustainable Palm Oil content, this balm utilises the power of Hemp Seed Oil to make this balm even richer, even more hydrating and softening on the skin – a beautiful blend of skin loving ingredients. – The oil has an incredibly high protein content and this makes it great for vegans, vegetarians or anyone looking to add more protein to their diet. Hemp Seed Oil is also a complete protein source and contains all nine essential amino acids. – The oil’s omega fatty acids can improve heart health and lower cholesterol and the fatty acids are brilliant nutrition for your brain. – High volumes of essential fatty acids are great for supporting your immune system as they help to increase its function and response. Especially useful during flu season! – The oil can be used internally and drizzled over food; however, it is recommended that you do not cook with hemp oil as its properties break down when heated. – The amount of omega 3s in hemp seeds can help to reduce inflammation. 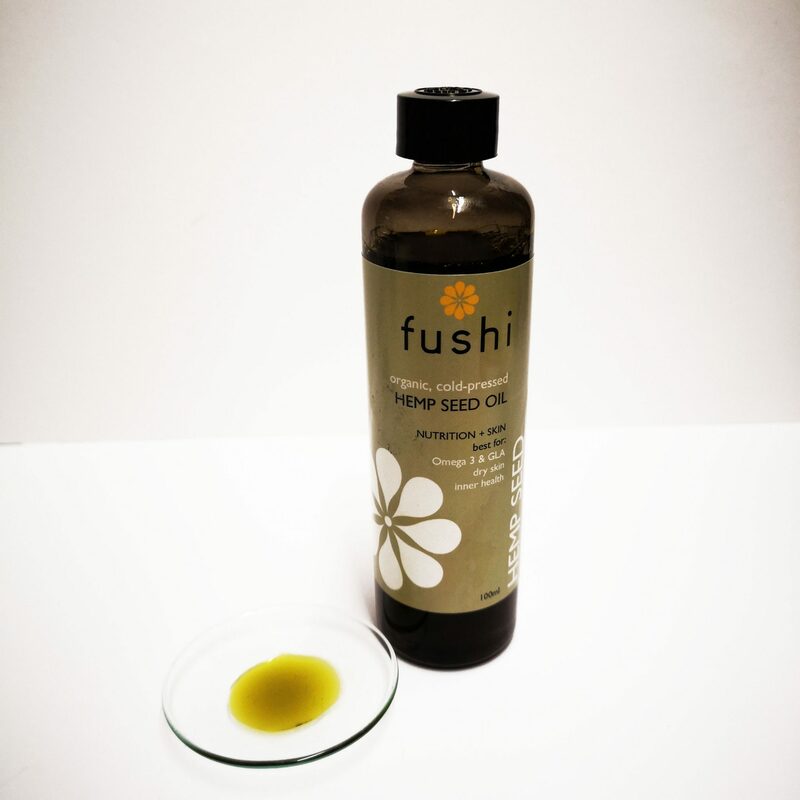 Fushi’s Organic Hemp Seed Oil is cold-pressed and unrefined. It can be used both internally and externally, which is fab! Drizzle onto salads or mixed straight into smoothies, juices, oats or yogurt, or try taking it straight by the tablespoon. It has a nutty taste to it and, while I wouldn’t recommend taking it straight, it was surprisingly delicious drizzled over salads and rice bowls. It does have a prominent taste so definitely taste test first before putting it all over your food but it made a lovely addition to a bowl of mixed veggies I had and gave it a slightly nutty coating. I did try taking it by the spoonful and, while not as bad as say olive oil, it’s definitely more delicious with food rather than on its own! A great addition to the pantry, especially for the added benefits. 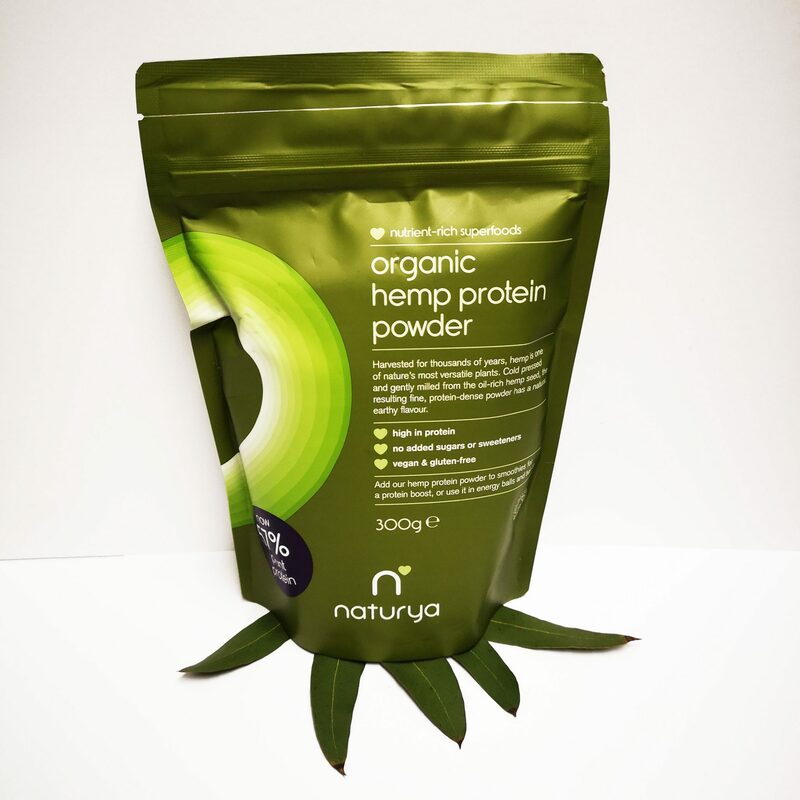 Naturya Organic Hemp Protein Powder – this contains cold-pressed hemp seeds, which have been milled to a fine protein-dense powder as it is rich in protein. Every 100g contains 49g of protein so this is excellent for the maintenance of muscle mass and is a great way for Vegans and Vegetarians to get protein effectively.